In the off-highway industry, a vehicle's transmission consists of several fine details as axles, electronics control, gears and shafts, integrated into a complete and complex system that transmits the engine's power to the wheels. Every transmission has rotating gears supported by shafts, which are the most crucial elements in the configuration. The transmission shaft of an off-highway vehicle transports power from one rotation component to another supported by, or connected to it. 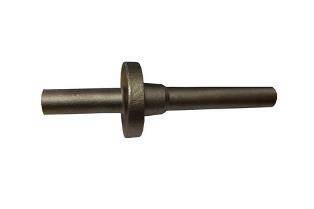 As subjected to torque and bending moments the shaft should possess high strength. Cold extrusion and electrical upsetting are considered best manufacturing options for drive shafts, as they deliver extra hardness properties to the metal. Setforge, the forging subsidiary of Farinia Group is specialized in the manufacturing of cold extruded and electro-upset transmission shafts for off-road vehicles. We offer our customers quality, durability and reliability for a wide array of configurations and systems employed in different industries. Farinia‘s long experience as a global manufacturer and supplier ensure manufacturing precision and customer satisfaction.